On May 16, the European Court of Justice (ECJ), Europe’s top court, issued a long-awaited opinion on whether the European Union (EU) must share approval of trade agreements with its member states. In a 28-page opinion, the ECJ concluded that the EU has the sole authority to conclude trade pacts, except for provisions relating to investment, over which member states retain authority. The Court’s decision has ramifications for the EU’s pending trade agreement with Vietnam and negotiations of future agreements, including a post-Brexit trade accord with the United Kingdom. As a consequence of the opinion, the Singapore FTA provisions relating to portfolio investment (non-direct foreign investment) and investor-state dispute settlement will need to be submitted to more than 30 national and regional parliaments for approval before they can be implemented. However, all of the other provisions, including those relating to market access for goods, competition, intellectual property protection, standards, trade in services, public procurement and sustainable development (labor and environmental protections), are only subject to EU approval. As a consequence of the ECJ opinion, the FTA that the EU concluded with Vietnam in 2015 will need to be submitted to more than 30 national and regional parliaments for their approval as it includes investment provisions. However, it might be implemented on a provisional basis, without the investment provisions, as is the case of the EU’s agreement with Canada. In July 2016, the European Commission announced that it would treat its agreement with Canada, the Comprehensive Economic and Trade Agreement (CETA), as a “mixed” agreement, meaning it would share competence with the member states, rather than wait for the ECJ’s ruling. As a consequence, the EU can implement CETA on a provisional basis.after its approval by the Council of the European Union, on which all member states are represented, and the European Parliament. It plans to implement all of CETA, except for its investment provisions, by July 1. The Agreement can be fully implemented only after ratification by national parliaments and the provincial parliaments in several federal states, a process that is expected to take several years. However, a single national or regional government could block final approval. 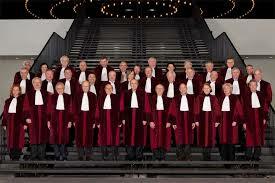 All future EU trade agreements will be subject to the Court’s opinion. To avoid the need for unanimous approval by member states, parties in future agreements with the EU may want to rethink the scope of the negotiations with respect to portfolio investment and investor-state dispute resolution. In particular, Britain might want to leave such provisions out of a future UK-EU trade deal and find other means for addressing investment concerns, such as bilateral investment treaties. Similarly, if the EU and the United States restart negotiations of the Transatlantic Trade and Investment Partnership (TTIP), or try a new approach, they may want to consider the scope of investment provisions. The ECJ Opinion was much narrower than a non-binding opinion on the case that was issued by a senior EU judge in December 2016. That opinion found that the member states’ shared competence extended to transport services, non-commercial aspects of intellectual property rights and labor and environmental standards.